I was robbed a couple weeks back and I had my whole collection of games and gaming systems stolen. It was rather heart breaking especially to a collection addict like me. At the behest of my fiancée, I purchased a red New 3DS XL to put a nip into my gaming addiction while I wait until my lease runs out and I am able to move in a month or so. I don't want to blow cash on gaming that I can't bring with my everywhere in fear my apartment may be hit again so the 3DS seemed like a perfect buy especially since I have recently been hit with the urge to get back to my gaming roots with Nintendo games. 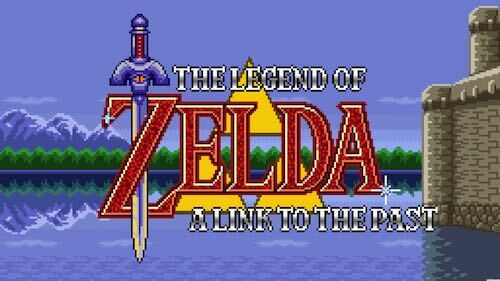 One of the first purchases I made on the virtual console was the title in the header image, A Link To The Past. A Link to the Past is one of those classics I played through dozens of times as a kid. I have very fond memories and I tend to list it as my favorite Zelda game followed by Zelda 2: The Adventures of Link and The Legend Of Zelda: Windwaker. It is weird going back to a game that was last played so long ago. I almost feel an anxiety with it. I don't know if it is because of the small screen size but starting it up and getting through the first dungeon in which you rescue Zelda just left me feeling uncomfortable. I kept dying and dying which was something I did not do in my younger days. I at first thought that the anxiety I felt was because I didn't have the crutch that I had become accustomed to as an achievement whore. I readily kept guides and walkthroughs at hand so time is not wasted and achievements are not missed. It wasn't that different in my early days of gaming either as I tended to buy up guides for rpgs because I hated to miss anything. I at least was willing to play a game without any kind of guidance back then though. So I searched Amazon for the old Nintendo Players Guide for A Link To The Past I used to own hoping it was cheap. Of course with my luck, it is super rare now and the cheapest used is at least 60 bucks. I wasn't going to spend that on it. There are places to get scans of old guides and I was able to find a pdf at one of those places. I opened it up and read the first couple sections like I was talking with an old friend and catching up. I started the game back up and the anxiety was still there. There is something about having a physical copy and being able to touch the pages that electronic versions will never be able to match. I am beginning to think my anxiety is tied more to the robbery instead. I had decades of commitment stolen from me. The same urge to establish this blog to chronicle my gaming experiences is similar to me being able to look and touch MY games, my gaming history. This game is a part of that history where the only evidence I have now is my memories. There is almost a level of mortality to it and that makes me sad. I miss that guide. I miss my games that were stolen. I miss playing A Link to the Past on a large screen, my eyes aren't what they used to be...but maybe.. I should continue. I did gather my first heart piece in the game and made a save before I stopped. There is rumor of a Master Sword in the woods nearby. Mayhaps it is time to go after it. Anxiety be damned. I will defeat Ganon.